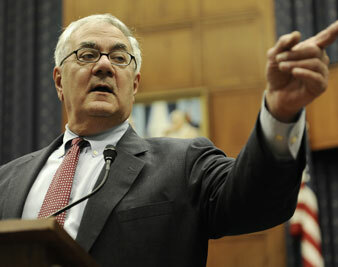 How well will Representative Barney Frank's proposed regulatory reform legislation address the "too big to fail" problem? Solving Too Big Too Fail Mike Konczal How well will Representative Barney Frank's proposed regulatory reform legislation address the "too big to fail" problem? Problem 1: Several financial companies that were not traditional banks were deemed too systematically important to be allowed to fail through the normal bankruptcy route. "Too big to fail" is a bit of a misnomer. The issue is better explained as "too interconnected to fail." A financial institution is a business; a business is just an experiment in the game of capitalism; and it is in the nature of experiments to fail. Our regulator's goal isn't to make a system in which there are never failures but a system in which failures are cleaned up in an orderly and nondisruptive fashion. Like an elaborate game of Jenga, even removing the smallest piece can collapse the entire structure, and regulators need to be able to remove any piece without having the entire real economy collapse. There are two ways the current legislation approaches this task: first, regulators will keep firms from becoming too risky as a proactive measure; second, the legislation will make it easier to resolve a financial institution when things do fail. The bill will create a Financial Oversight Council, consisting of the major government regulators, that will determine in advance which nonbank institutions will be designated Financial Holding Company Tier 1 and fall under the umbrella of heightened scrutiny. These are the potential TBTF firms. Problem 2: The largest financial institutions took on too much debt and leverage and had too little liquidity to survive a financial shock–they were too risky. When regulators pointed this out to financial institutions, such as Lehman Brothers, they had little regulatory power to force any preventive actions. So once a financial firm is considered to be a target of extra scrutiny by the Financial Oversight Council, what happens? The reforms will have the Federal Reserve take these institutions and put them under additional rules that the Fed will figure out later and handle on a case-by-case basis. The Fed gets a lot of power and a lot of leeway–"the Board may require the identified financial holding company to sell or otherwise transfer assets or off-balance sheet items to unaffiliated firms, to terminate one or more activities, or to impose conditions on the manner in which the identified financial holding company conducts one or more activities." But how well will the Fed use this power? And what will guide it? The proposed law creates four categories in which these financial firms can be placed, ranging from "well capitalized" (everything is fine) to "critically undercapitalized" (about to go into bankruptcy). If a firm slips in these ratings, the Fed can take actions to bring the company back to a properly capitalized level. A lot of the success of this strategy will depend on the Fed's regulatory will. During the lead-up to this crisis, that will was nonexistent. Problem 3: When it came time to let financial firms fail in 2008 and 2009, regulators found that we didn't have the ability or the authority to smoothly oversee an FDIC-style wind-down of the TBTF institutions. The normal bankruptcy procedure turned out to be far too blunt for firms like Lehman to fail without spinning the financial market out of control. Regulators turned to what they felt was their other tool–giving lots of money to the firms. So the other end of this puzzle–what to do with firms that failed–is one of the main goals of the reform. With this regulatory problem in mind, the Tier Firms will have to create a "living will," a guidebook created by the firms that provide instructions for winding down the institution in question. How well will this work? The problem is that wills probably will be based on financial models that work all the time–except when there is a crisis. It isn't clear how well the Fed will check these living wills–will it be like another "stress test," where the Fed simply takes the numbers given to it by the industry? With large derivative loopholes preserved in current reform legislation, can regulators trust their ability to account for all the outstanding risk? We could end up in a situation where a living will is like an air bag that works all the time–except when you are in an accident. Problem 4: Once an institution was declared to be systematically risky, this both changed its behavior, since its executives believed that taxpayers would catch it as it fell, and the behavior of investors, who believed their investments have an implicit government guarantee. Our government's actions created moral hazard. Critics of the reform, ranging from the AFL-CIO to the conservative American Enterprise Institute, are concerned that it amounts to a permanent consensus on a living TARP fund, the unpopular fund used to bail out the financial sector late last year. Having a list of systematically important institutions will distort the market, both allowing these firms to act recklessly knowing the Fed will take the down side and encouraging investors to invest with them, tilting the playing field toward too-large institutions. The funds necessary to carry out any of these operations were originally going to be collected from the largest institutions still surviving after a resolution of a failed firm. The now-dropped idea, a transfer from those firms that are doing well to mismanaged firms, seemed designed to encourage risky behavior. Currently, the approach is to have the largest institutions pay into a fund in advance, but there is a growing worry that the Treasury and taxpayers will be the liquidity backstop of this fund if it goes dry. What none of the proposed legislation will deal with is the size of institutions that are Tier 1. The biggest financial institutions remain incredibly large and in fact have gotten larger since the financial crisis hit. They have considerable political clout. The advantages to oligarchy-style huge financial firms for consumers (as opposed to investors) are dubious, and to the extent they have market power we should be concerned about harm to regular people. The larger an institution, and the more it combines boring commercial banking with exciting casinolike investment markets, the less credible its "living will" will be, and the less credible will be the Federal Reserve's promise to regulate and resolve such institutions. And there isn't reason to believe large firms survive better than smaller firms–but plenty of reason to doubt it.